Roberto Martinez is director of the U.S. / Mexico Border Program, an immigration law enforcement monitoring project of the American Friends Service Committee. In 1992, he became the first U.S. citizen to be honored as an International Human Rights Monitor by the international human rights organization Human Rights Watch. 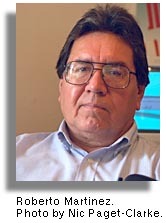 He has been a Chicano civil rights and human rights activist for the past 20 years. 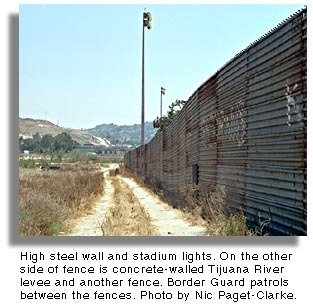 This interview was conducted in 1997 in San Diego by Nic Paget-Clarke.